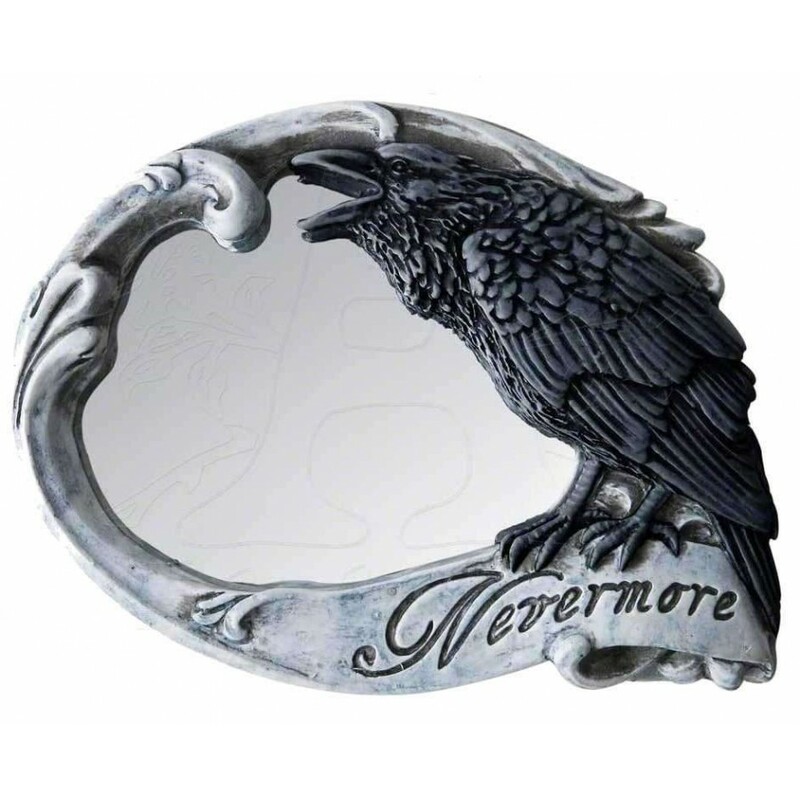 Gaze upon your mortal reflection under the scrutiny of Poe's mocking Raven in this compact mirror. 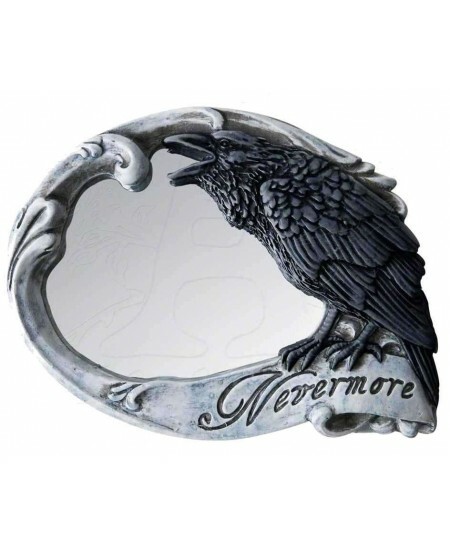 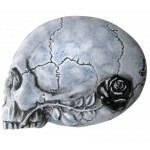 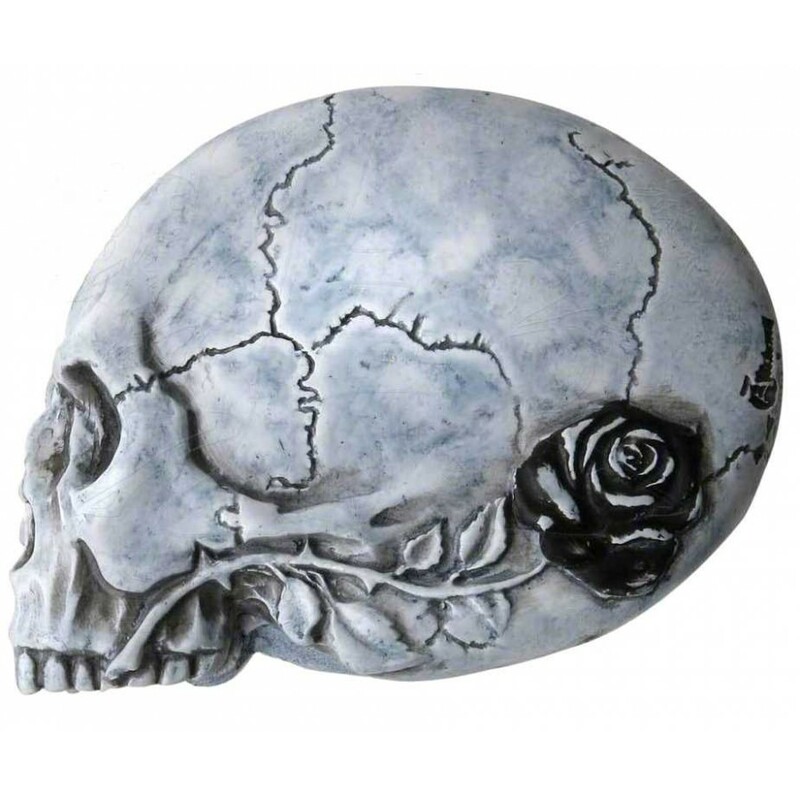 Lovely little travel mirror in the shape of a skull has a raven on the mirror site with Poe's famous Nevermore. Cold cast resin mirror hand painted with amazing detail is 3.5 nches wide. Item Number: AG-V27 | Approximate Size (Inches): 3.50 wide x 0.80 deep x 2.70 high | Approximate Shipping Weight: 1.00 lbs. 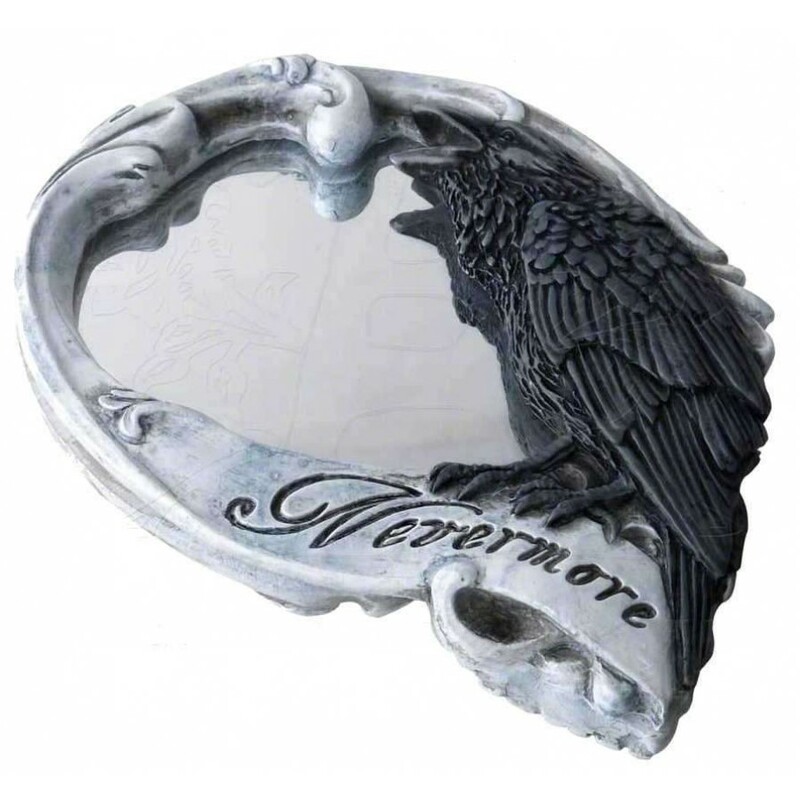 Edgar Allan Poe, master of gothic literature, inspired this tee shirt as a ..